If you live in London and you’re lucky enough to have your own outside space, now is the time to make the most of it. All too often, this vital part of homes is neglected – but it doesn’t have to be that way. As we proved in this recent project, with a bit of luxury exterior design know-how and a few cool products, it’s possible to transform a humble roof terrace into a chic area for summer relaxation. This rattan-inspired hanging chair is a great way to make a bold statement and we like that it’s made using organic materials. Imagine curling up with a good book and a glass of wine on a warm afternoon… Perfect! Calling all sun worshippers! 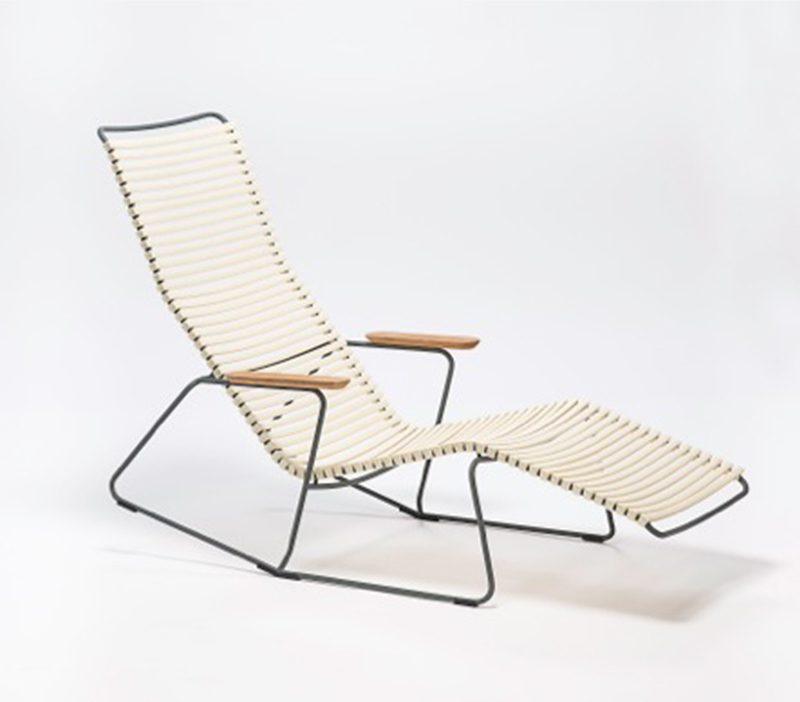 You need this ingenious sun lounger in your life. It adapts according to your weight and body position and it has a rocking feature, making relaxing that much easier. 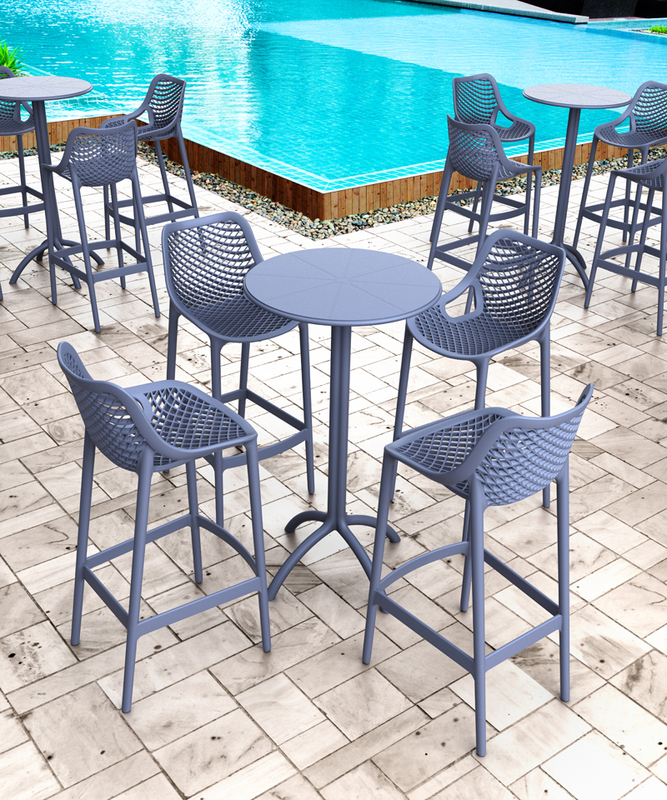 Drinks with friends in your garden or roof terrace just aren’t the same without a stylish table and chairs – and this simple and stylish bar-stool design is just the ticket. It’s made from polypropylene and glass fibre, making it both durable and lightweight. If you’re hunting for something that’s more suitable for a sit-down dinner, check out this unusual chair and stools set. The metallic weave of the frame makes it a real focal point. All you need to do is add food, wine and friends! 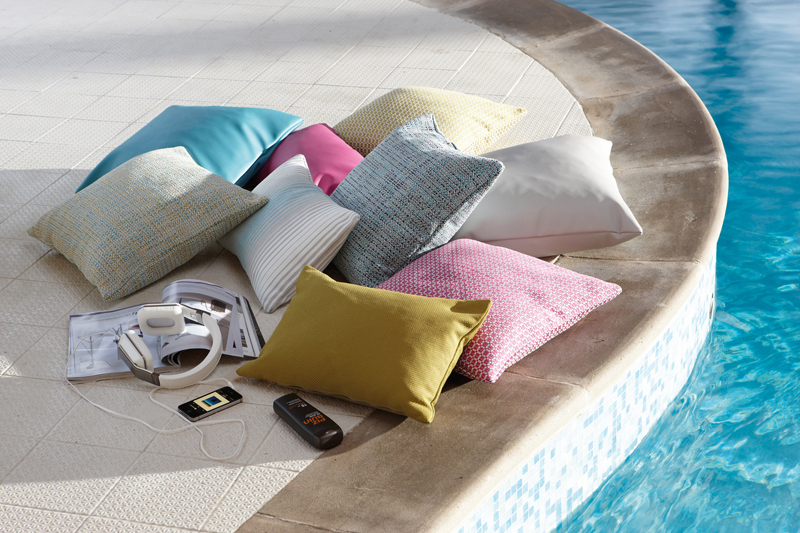 Say goodbye to uncomfortable garden furniture by adding these vibrant cushions, which are specially designed for use outdoors. Adding soft furnishings is a great way to form a theme in your space that takes it to the next level in luxury exterior design. 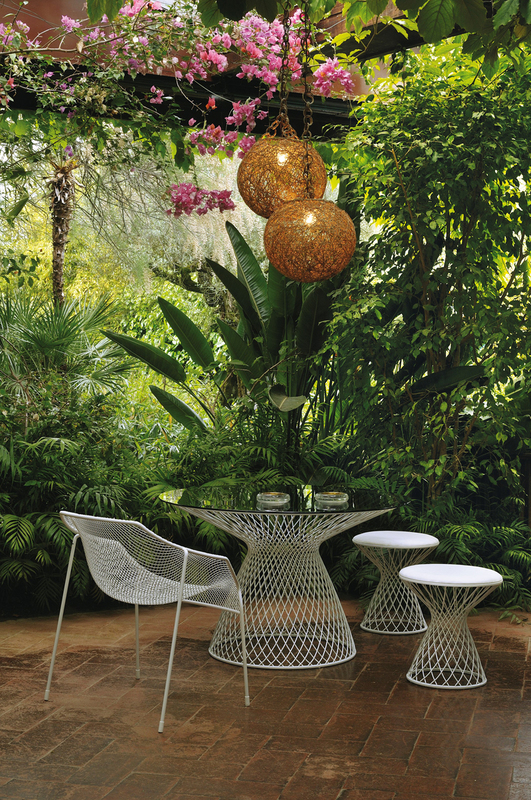 Go ahead and add lighting to outside space to encourage use of the area all year round. 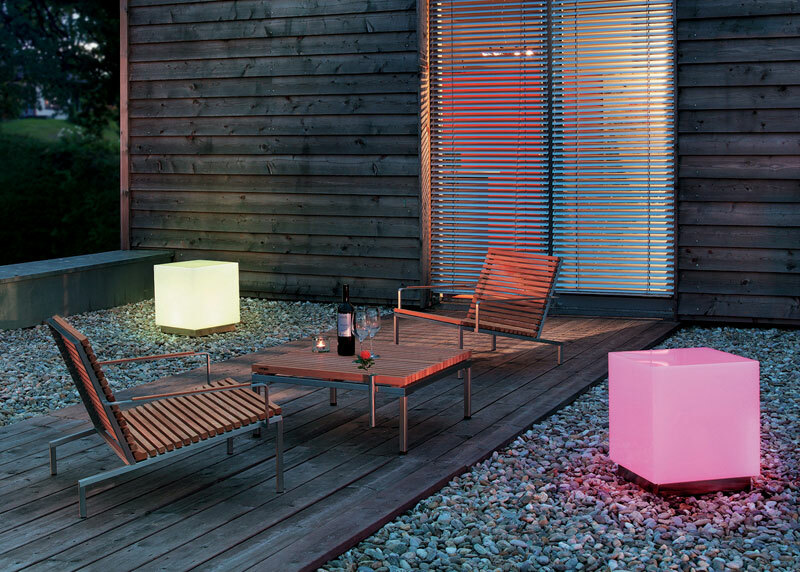 We’re not just talking about standard solar lights, but perhaps something like this brilliant light cube from Viteo. It even doubles up as a table or extra seat! 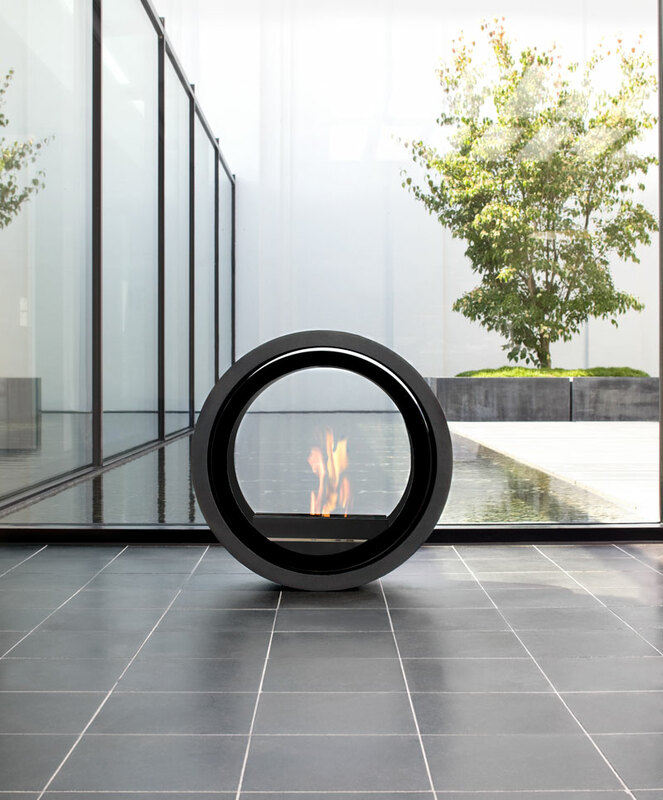 Chilly breezes will never stop you spending evenings in your garden again with this stylish outdoor fire. 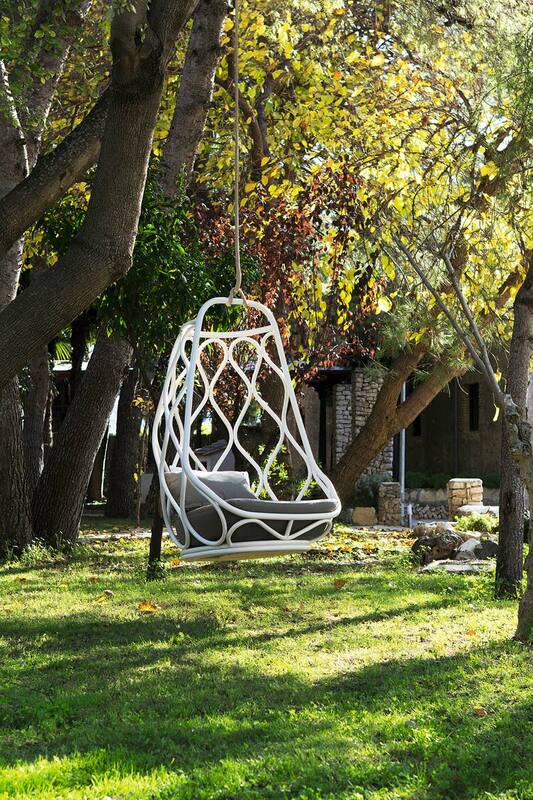 We particularly love the minimalist design, which would make it a cosy addition to any outdoor space. By taking inspiration from the products we’ve featured, you can create a comfortable and functional space that you’ll simply love socialising and relaxing in this summer. Get in touch for more information on how we can help you transform your outdoor space with luxury exterior design.